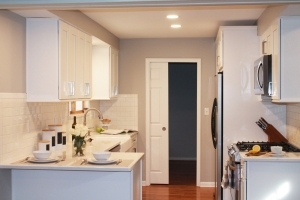 This transitional white and grey kitchen features classic, clean, lines and textures. 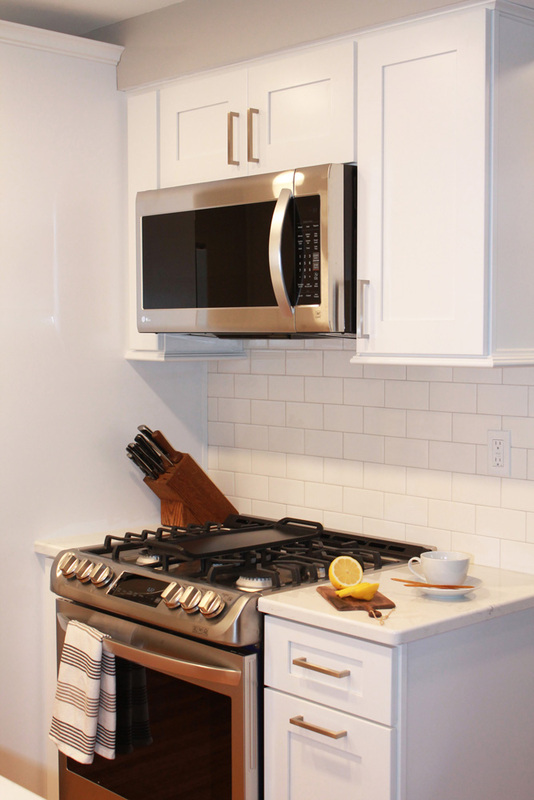 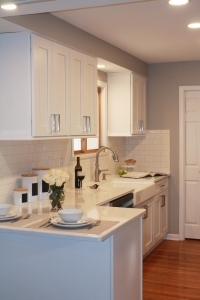 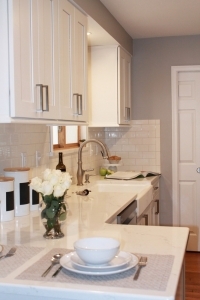 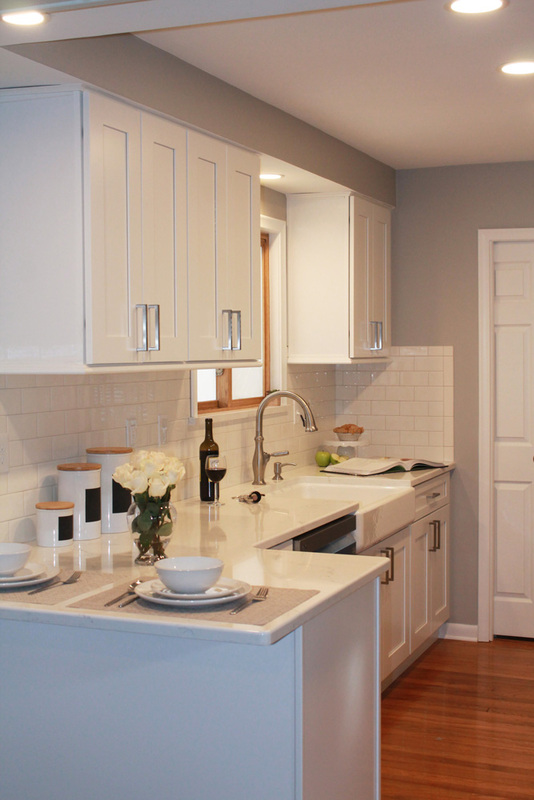 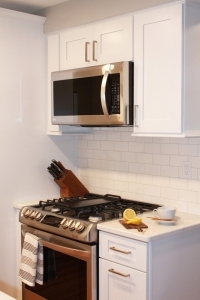 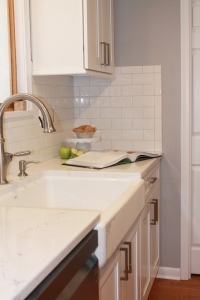 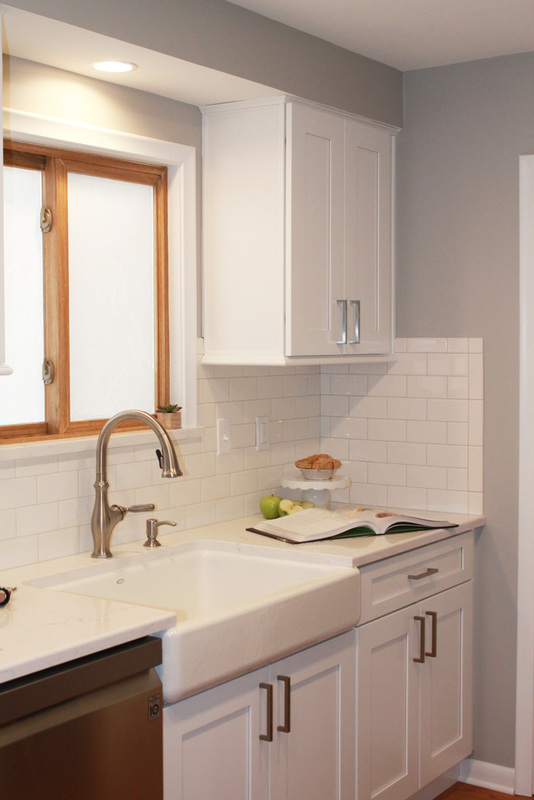 The soft grey Carrera-looking quartz and white subway tile add interest to the white shaker style cabinets. 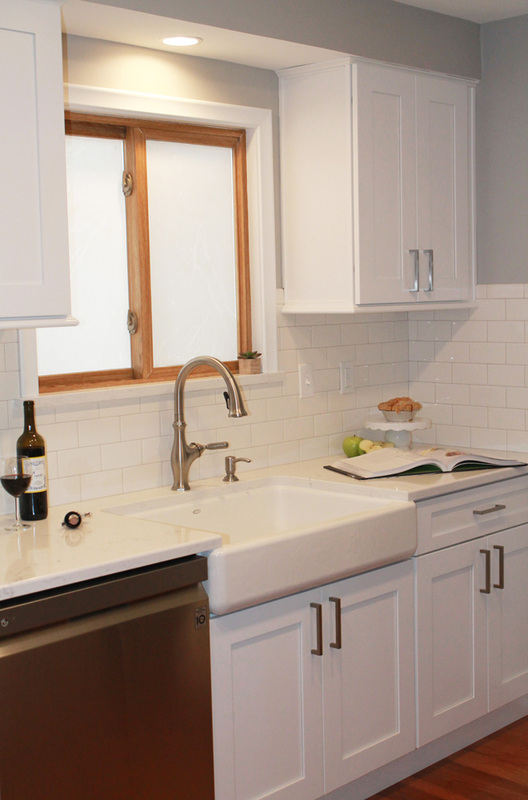 The large apron front white sink conveys style in a monochromatic way, bringing together traditional and modern elements. 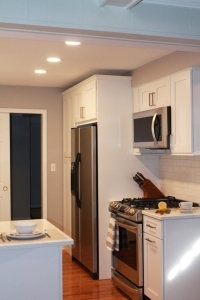 To make the most of a smaller space, we incorporated a broom cabinet for hidden storage. We crafted it to look built in with side panels and wall cabinet that fit around a soffit and chimney.